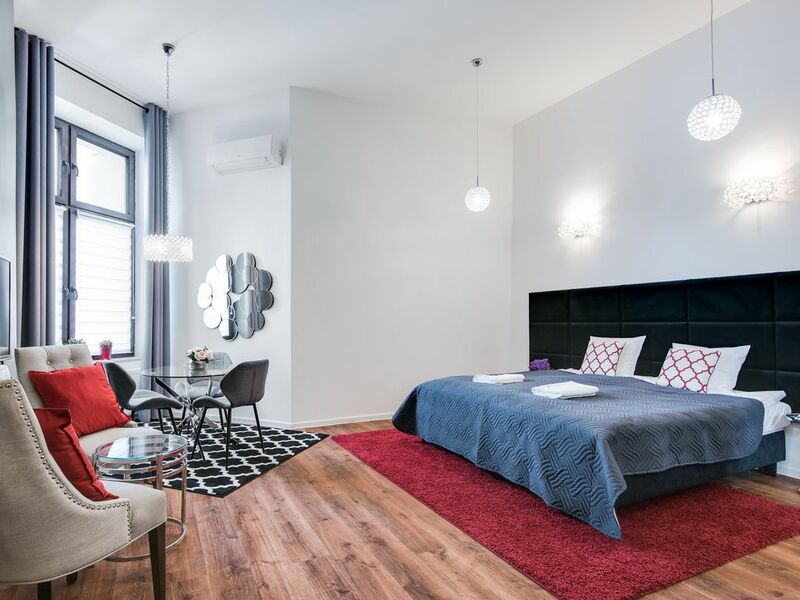 Luxury studio apartment in newly renovated ApartHotel. Two comfortable beds with box spring mattresses; large flat screen TV, access to high-speed WiFi, iron, hairdryer and washing machine. Well equipped kitchenette and cozy shower bathroom will make you feel just like home. Outside the apartment, on your way to the Main Square (just 5 minutes to walk) or Kazimierz (10 minutes) you will find plenty of homelike restaurants and cozy coffee shops. The apartment is a cornerstone in all directions for everything Krakow has to offer. The tram/bus is also a quick 2 minute walk. And if you need help using the transit system, we are more than glad to show you the quickest ways to get to your destination. 24h secured parking is situated 100 meters from apartment. kettle, mugs, cups, plates, tea coffee, etc. Fully equipped kichenette - kettle, mugs, cups, plates, tea coffee, etc.